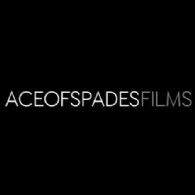 Sydney, June 6, 2011 (Global Fashion Wire) - Launching in late 2011, Ace Of Spades Films is a production house providing creative film services for the fashion & arts industries, and specialising in Music Video production for artists of the Electronica Dance music genre. Created in 2010 by 21-year-old upcoming director and producer Tim Clifford, Ace Of Spades' single focus is to bring about a new and unique element to the collective creative force, through the medium of cutting edge film. The Flawless fashion/arts/fundraising event stands for what Ace of Spades sees in the potential for Australia's artistic talent to become a dominant force in the new decade, and is proud to be a part of such an event and to be alongside its participants. Their inaugural production, is a 10 Part Series of Music Videos with a cast of over 30 dancers, featuring the music of Grammy-nominated Dance Vocalist & Singer-Songwriter Nadia Ali (USA), entitled 'The Nadia Ali Collection'. The Nadia Ali Collection celebrates a decade-long career beginning in 2001, and is inspired by the 2010 album - 'The Queen of Clubs Trilogy: Best of Nadia Ali Remixed - Ruby, Onyx and Diamond'. The Collection spans Nadia's solo career featuring hits such as the Grammy nominated "Fantasy", the classic "Rapture", the US Billboard No. 1 hit "Love Story" and an extensive set of remixed and original collaborations with international DJs and producers, including Armin van Buuren. The cast is a number of Sydney dancers coming from various styles including Ballet, Modern Contemporary, Ballroom, Aerial Artistry, Hip-hop, and more. Production begins in spring and all ten parts will be released online via YouTube throughout summer, serving as Ace of Spades' entry into the film industry.